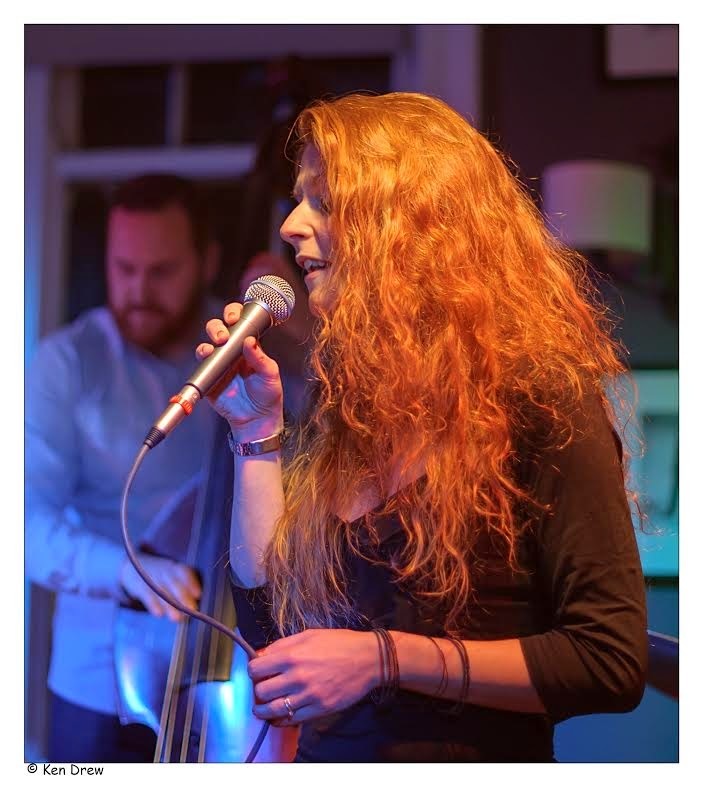 Zoe Gilby (vocals), Paul Edis (piano), Andy Champion (double bass) & Adrian Tilbrook (drums). In Walked Bud opened the programme with beautifully crafted solos from pianist Paul Edis and bassist Andy Champion. Gilby spoke of the alternative titles on McRae’s 1988 album (copyright restrictions etc.) and, as Frank Sinatra did so diligently throughout his career, name-checked the lyricists (the first tune, with lyrics by Jon Hendricks, re-titled Suddenly). Little Butterfly (Hendricks’ lyrics) emerged chrysalis-like from the Monk original Pannonica. Ah! Pannonica. Well, plain little old Kathleen Annie Pannonica de Koenigswarter (née Rothschild) left England for New York following the break up of her marriage. Largely disinherited, Pannonica, lived the life. Patron, friend, (lover?) of Monk and other shooting-star talents devoted a life to bebop. I Mean You (You Know Who, Coleman Hawkins/Jon Hendricks) swung non-stop; Edis, Champion and drummer Adrian Tilbrook couldn’t be bettered. Time, sensitivity, swing, the perfect accompanists. McRae’s take on Blue Monk (lyrics Abbey Lincoln), Ugly Beauty, tune after tune, Gilby pitched it just right and worked a broader canvas departing occasionally from McRae’s inspirational album. Think of One (When I Think of One) stood out, but so did many others. McRae’s The Ballad of Thelonious Monk closed the programme. 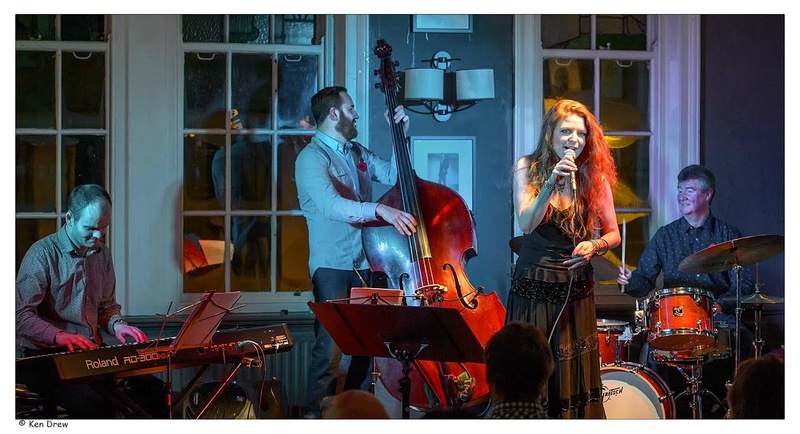 All four musicians at the Bridge Hotel excelled on a magical evening. CD Review: Ken Thomson and Slow/Fast - Settle. Election Time - Vote Now! Jazz UK to cease publication immediately. Benn Clatworthy Quartet @ The Globe, Newcastle. Jam Session @ Jazz Café - November 18. Jason Isaacs @ Bonbar, Newcastle. November 16. Roy Willis in Hong Kong - The Truth! Kate Daniels Quartet @ Lit & Phil - November 14. Steward banjoed at Jazz Party! No Coochie @ Hoochie tonight. CD Review: Hank Marvin - Django's Castle. Be Quick, Quigley at Sage Gateshead! Richard Pite - Boisdale Interview. WEA Jazz Courses: We need YOU! Zoe Gilby @ Hoochie Coochie November 2.